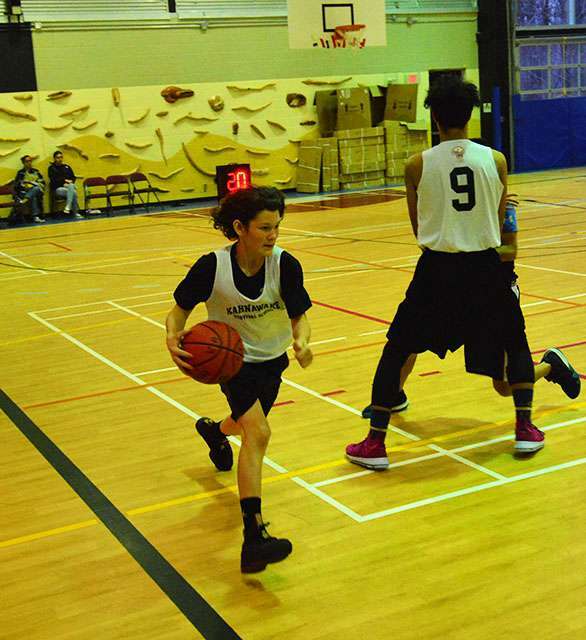 The ground may have frozen outside the gym, but the courts inside are blazing, as the GMAA basketball season is underway. 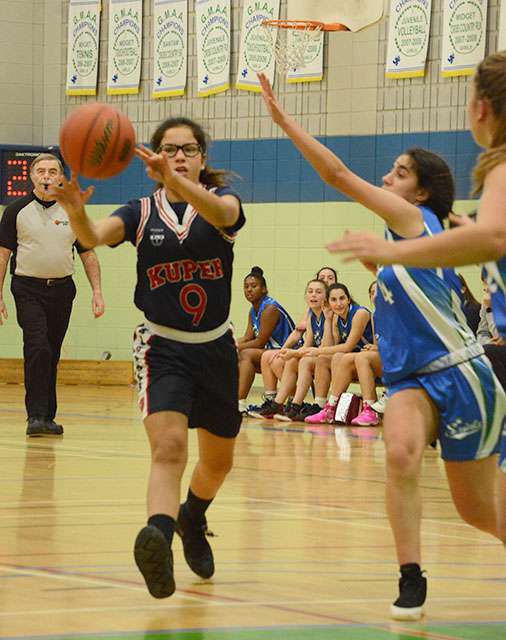 Kahnawake Survival School was able to pull together one of two teams this season, while Kuper Academy has its usual collection of quality ball teams. Building on last year’s rookie campaign at KSS where the school put a boys and girls team on the floor for the first time in over a decade, Survival’s boys team is showing signs it could push for a competitive playoff run this year. With the addition of Justin Rice-Douglass, who transferred from Centennial Academy last year, the team added an effective weapon at both ends of the court. In Thursday’s home debut against Kuper Academy, Survival had moments where the boys exchanged point-for-point with the Kodiaks, but in the end, Kuper’s solid system was too much, and Survival lost 56-35. Survival bounced back in a big way Tuesday against Lower Canada College riding Rice-Douglass and some quality shooting. The team had a minor scare late in the game when Rice-Douglass pulled off an acrobatic layup only to land hard on his knee. He said after the game that he was fine, and didn’t twist the leg or tear anything. What does the team need to take it to the next level? For the coach, the team’s performance on the court must be matched by the skills in the classroom. “We’re trying something new at the school here where we’re pushing grades more than basketball,” said Whitebean. Whitebean and assistant coach Merrick Diabo insist their players do well in the classroom, or they will not get onto the court. “I’d rather they be at tutoring than at practice,” said Whitebean. On the court, Whitebean likes what he sees. The team has already had a number of obstacles to overcome out of the coaches’ control. “The problem with us is we’re having a lot of injuries, so a few of the top players are hurt. Our ball handler (Kobe Lahache) is hurt, he hasn’t played a game yet,” said the coach. 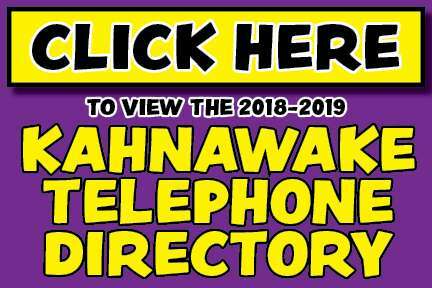 The Kuper Academy Kodiaks’ basketball program again boasts an impressive collection of teams, and, as per the last half decade and change, includes a fine collection of Kahnawa’kehró:non. 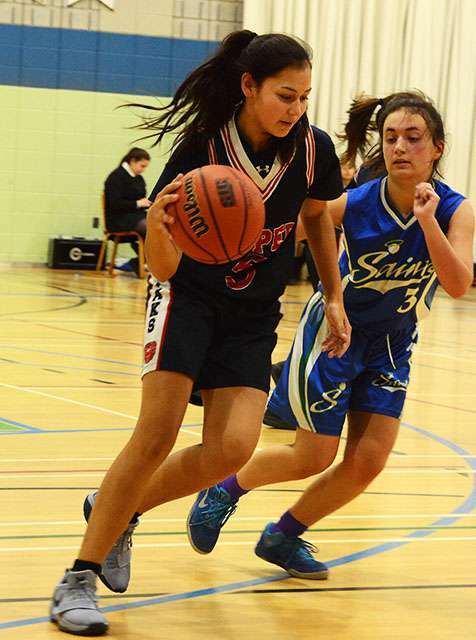 The Juvenile girls team is top of the JG3A division and won a nailbiter Monday evening at Sacred Heart thanks to two buckets in the last 10 seconds to win by four points 34-30. 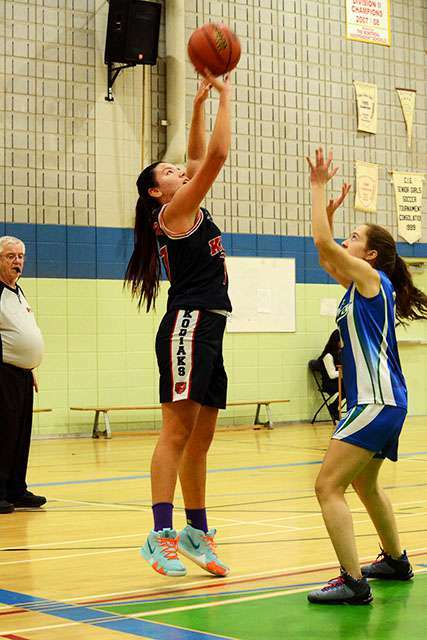 Guard Sylvia White was on the court for the final seconds, while fellow Kahnawake hoopsters Taya Jacobs, Gracie Diabo and Melissa Stacey held their collective breath from the bench. White and Diabo were on Kuper’s championship Midget team last season, and Diabo likes her chances of repeating as champions this season, as she did with the Midget team. “Everyone on the team is really nice and good skilled players,” she said. “Many of us have been playing with each other for three years now. 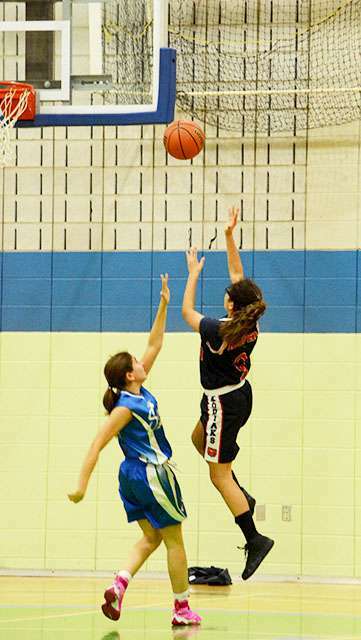 Kuper’s Midget girls team started the season rocky, but won their first game Tuesday against Lindsay Place. 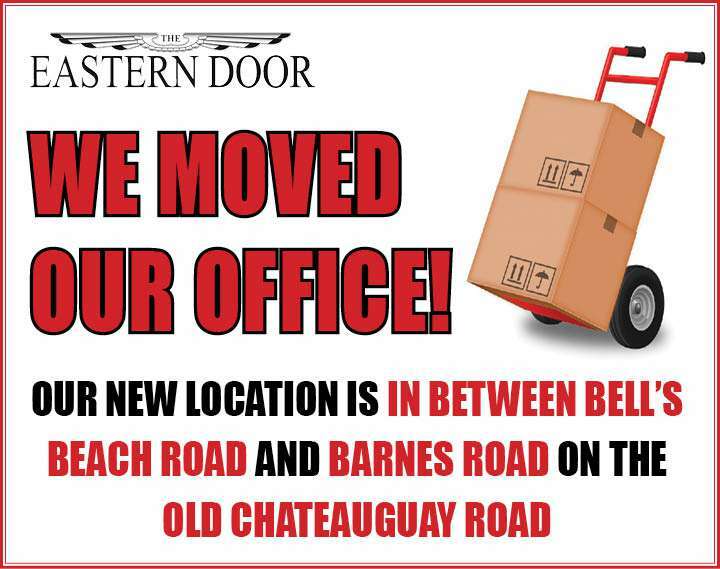 The team includes Jillian Diabo, Bonnie Zachary, Kaksatahno:ron Deer, and Olivia Rice on its very large roster. The young Kodiaks are at The Study Tuesday looking for a second win to go with the team’s three losses.